Sreeven's most acclaimed Smart PDS is awarded as the "Best Government to Citizen Initiative of the Year" by eWorld forum. 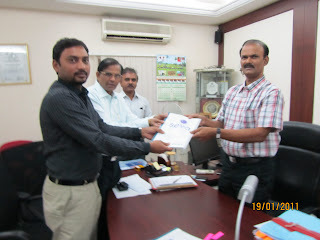 Sreeven's MD, Mr. KS Raju received the award in New Delhi on 15th June, 2012. These Smart cards are designed with the aid of ‘Aadhaar', a unique identification number given to every citizen based on biometric authentication. 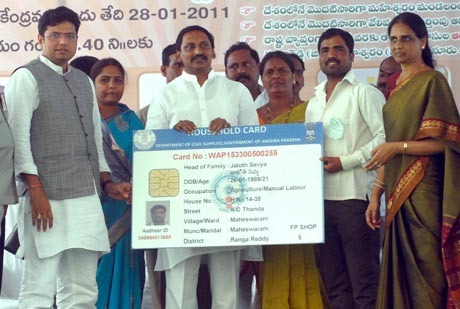 Apart from rations, the citizens can use the cards to draw NREGS and avail benefits like scholarships, LPG connections and health insurance under Arogyasri. Chief Minister N. Kiran Kumar Reddy on Friday launched the programme by formally handing over the cards to some women belonging to below poverty line (BPL) families. All 27 villages falling in Maheshwaram mandal had cent per cent enrolment for issue of smart cards. 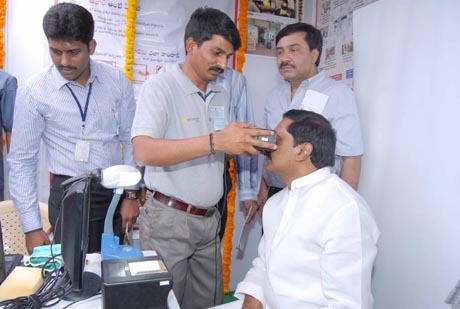 The Chief Minister of Andhra Pradesh, Mr. N. Kiran Kumar Reddy got himself enroled at a special Enrolment Center setup by Sreeven at Maheswaram, Ranga reddy district. On his visit to distribute Aadhaar based Smart Ration Cards in Maheswaram, the first ever Aadhaar enrolment saturated mandal, in Rangareddy district, the chief ministers facial photograph, iris and fingerprints are captured. Sreeven Infocom has bagged Common Services Centers contract in districts of West Godavari, Krishna and Khammam in AP from the department of EDS (Electronically Deliverable Services), a subsidiary of Government of Andhra Pradesh. 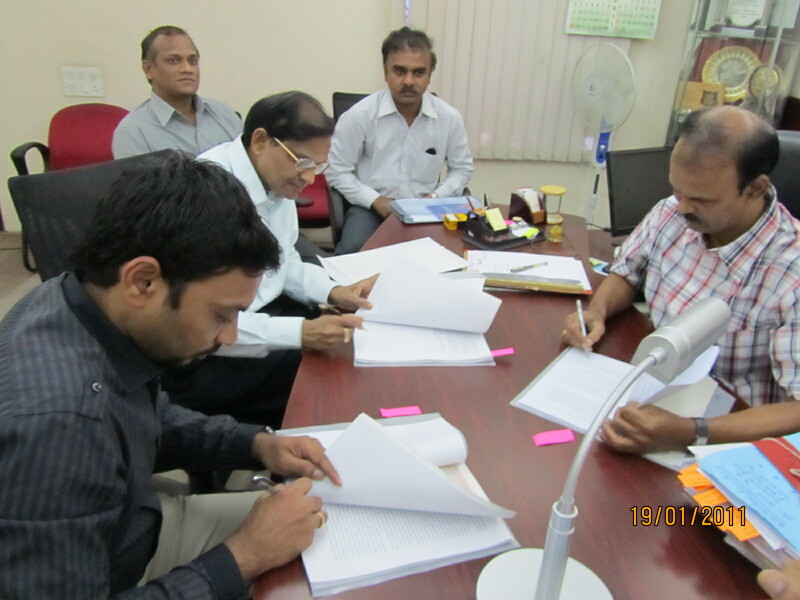 Agreement was signed by the Director, EDS and Mr. Sarath Babu Mandava, Technical Director, Sreeven Infocom on 19th January in Hyderabad. As a Service Center Agency (SCA) for CSC, Sreeven will be the prime driver of the CSC system and also the owner of the CSC network in the districts it was awarded the contract. The Village Level Entrepreneur (VLE), through his CSC, should act as a service delivery point where he delivers services through which the population of the catchment area benefits. 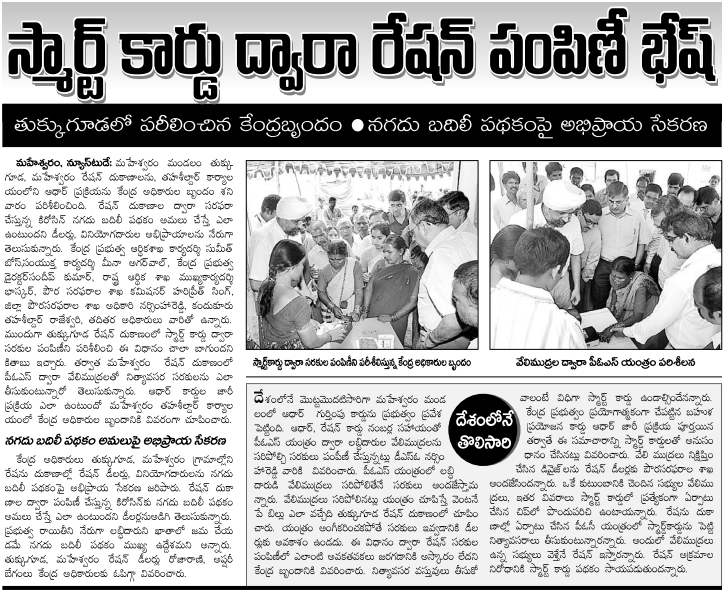 Aadhaar based Smart Rations Cards are issued to all beneficiaries in Kothapalem village of Renigunta mandal. 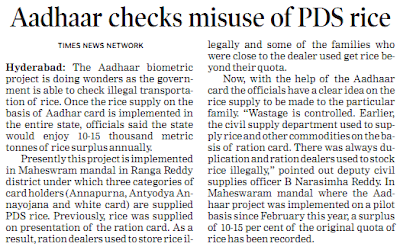 Smart ration cards are activated to make any transactions in fair price shop upon validation of biometrics. 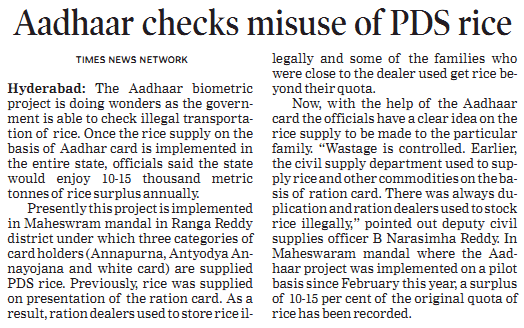 A smart ration card bears biometrics, demographic details and thumbnail photographs of all the family members in a household. Any family member can use the card in fair price shop. Trasactions made at the FP shop are posted in the center server. Sreeven is the first enrolment agency in india to launch Aadhaar project under the guidance of UIDAI for A.P Civil Supplies Department in Andhra Pradesh. 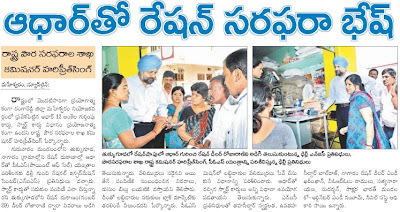 Our Expertise and extensive field level experience helped us and UIDAI in successfull field testing of Aadhaar application. 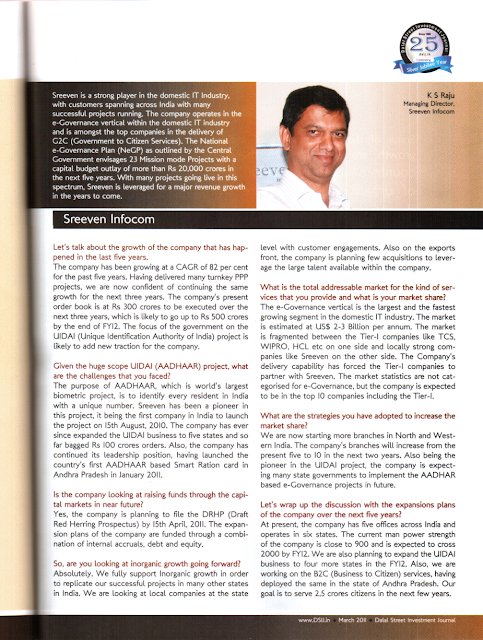 Sreeven has developed KYR+ application “Beneficiary Management System” which seamlessly integrates with Aadhaar application.